What is the secret to a happy, healthy, God-honoring marriage—one that will last through anything that comes your way? 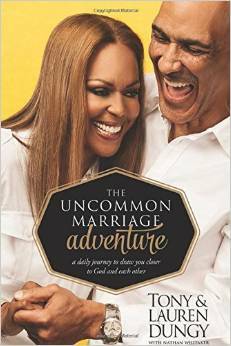 Join Tony and Lauren Dungy in The Uncommon Marriage Adventure, a series of daily reflections for couples. With transparency, wisdom, and humor, the Dungys share what they’ve learned over 30 years of marriage about faith, teamwork, conflict, communication, and more.